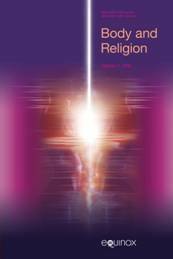 “Body and Religion is an internationally peer reviewed, interdisciplinary journal devoted to all issues of body and religion. We welcome English-language submissions from scholars who use diverse methodologies and approaches, ranging from traditional to innovative, to explore issues of “body” as a fundamental analytical category in the study of religion. We seek to publish the widest possible diversity of critical inquiry into the relationships between all manner of bodies; concepts of “body,” and both traditional and alternative religious traditions, popular culture, literature, the arts, psychology, philosophy, the natural sciences, national and social movements, gender and sexuality, modification and transformation, underground/alternative culture, time periods, and regions. The Chair of Religious Studies (Prof. Dr. Robert Yelle) in the Faculty for Philosophy, Philosophy of Science and Religious Studies at LMU Munich, seeks beginning with October 1, 2015: A scientific co-worker (PhD candidate—part time 65%). Research on your own PhD project and in the general field of the Chair. Teaching in the amount of 3.25 semester hours, as well as student advising. Active participation in the administration of the academic program. Scientific development is an intergral component of the work and will be actively supported. Trevor Stack, Naomi R. Goldenberg, and Timothy Fitzgerald (editors), Religion as a Category of Governance and Sovereignty (Brill, 2015).